GREEN BAY — The Denver Broncos’ defense is everything it’s cracked up to be, Packers Head Coach Mike McCarthy said on Wednesday. The Broncos rank first in the league in yards allowed, second in points allowed and second in total turnovers, with 17 in six games. “They’re flying around. Wade Phillips has done it forever in this league,” McCarthy said prior to Wednesday’s practice. 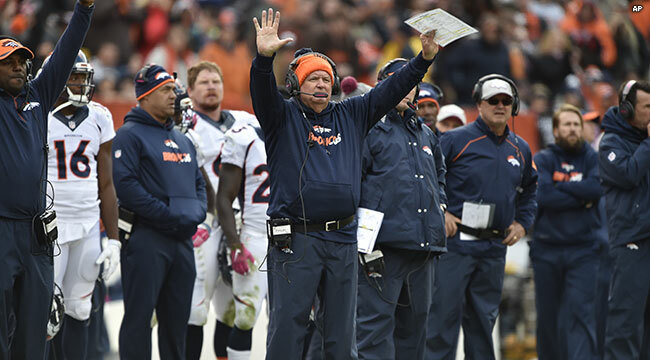 Phillips is the Broncos defensive coordinator, against whom McCarthy has gone to battle several times with different teams over the years. The challenge is no easier on defense. McCarthy emphasized the Packers aren’t buying into QB Peyton Manning’s statistical decline as a reflection of a diminished player. With his own offense, McCarthy stressed he would like to get the play count up. It’s uncertain whether the Packers will have their usual 1-2 punch at running back on Sunday, though, with James Starks sitting out practice on Monday. McCarthy acknowledged Starks has an injury from the San Diego game before the bye, but he didn’t want to disclose it until the injury report comes out later Wednesday.